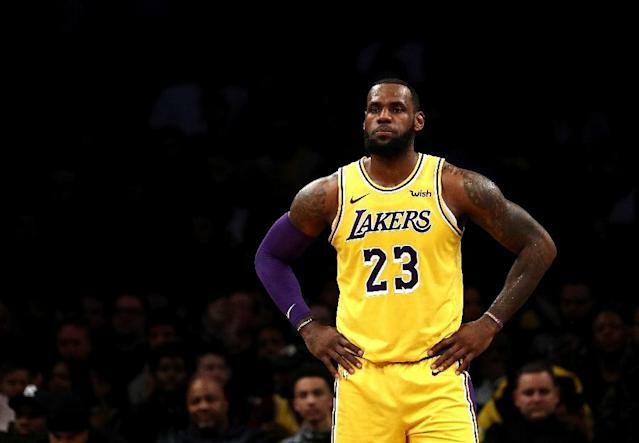 Los Angeles (AFP) - LeBron James faces at least another week on the sidelines as he continues his rehabilitation from a groin injury, the Los Angeles Lakers said on Thursday. James has not played since limping out of the Lakers' victory over the Golden State Warriors on December 25. A Lakers medical update on Thursday said James was recovering and had been cleared to step up his training. "LeBron James was evaluated by team medical staff and physicians today," the Lakers said. "The healing of James' groin injury is progressing and James has been cleared to increase on-court functional basketball movements." The statement said a further update on James' condition would be issued on January 16, meaning the NBA superstar is likely to miss three more games for the Lakers. The Lakers have lost five out of eight games since James' injury and are currently eighth in the Western Conference standings with a 23-19 record.